Vaisakhi (Punjabi: ਵਿਸਾਖੀ, visākhī), also known as Baisakhi, Vaishakhi, or Vasakhi refers to the harvest festival of the Punjab region, the Punjabi new year falling on the first day of Vaisakh which is the first solar month of the Punjabi calendar, Khalsa Sirjana Divas which marks the birth of the Khalsa in the year 1699 and the Mesha Sankranti festival. It is celebrated on either 13 or 14 April. The day represents the Spring equinox which normally occurs around 21 March but the day is marked on 13 April due to changes in the calendar. In other cases, Vaisakhi falls on 13 April. Mesha Sankranti (the first of the solar month of Vaisakha) marks the start of the solar new year across many parts of the sub-continent using luni-solar calendars and is important for Hindus. In regions where the regional new year begins with the start of the lunar new year, Mesha Sankranti is also considered to be an important day. The festival also coincides with other new year festivals celebrated on the first day of Vaisakh 13 April, in some regions of the Indian Subcontinent such as Pohela Boishakh the Bengali New Year, Bohag Bihu of Assam or Puthandu, the Tamil New Year. 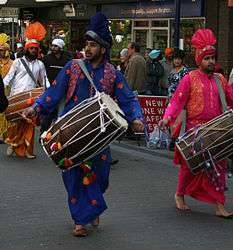 The harvest festival is also characterised by the folk dance, Bhangra which traditionally is a harvest dance. Vaisakhi is one of the three festivals chosen by Guru Amar Das to be celebrated by Sikhs (the others being Maghi and Diwali/Bandi Chhor Diwas which later gave rise to the festival of Bandi Chor Divas during the times of the sixth Guru Hargobind Sahib Ji). The festival bears a great significance for Sikhs because on the Vaisakhi 13. April in the year 1699, the 10th Guru of the Sikhs, Guru Gobind Singh laid down the foundation of the Panth Khalsa, that is the Order of the Pure Ones giving rise to the festival of Khalsa Sirjana Divas. It is also used as a celebration for those accepting the five Ks. Vaisakhi/Khalsa Sirjana Divas is celebrated on the first day of the second month of Vaisakh according to the Nanakshahi calendar. The festival is celebrated on 14 April, with the era starting in 1699 A.D. The Birth of the Khalsa Panth was on 13. April 1699. 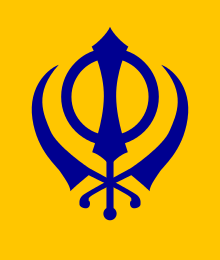 The Sikh community, a subgroup of the Malaysian Indian ethnic minority race, is an ethnoreligious minority in Malaysia, which is why Vaisakhi is not a public holiday. However, in line with the government's efforts to promote integration among the country's different ethnic and religious groups, the prime minister, Najib Razak has announced that beginning 2013, all government servants from the Sikh Malaysian Indian community will be given a day off on Vaisakhi Day. Vaisakhi 'open houses' are also held across the country during the day of the festival, or the closest weekend to it. The first day of Vaisakh is celebrated as Mesha Sankranti which marks the solar new year and is celebrated by Hindus bathing in sacred rivers. Mesha Sankranti is also referred to as Baisakhi but this event is distinct from the regional festival of Vaisakhi and is related to the marking of the start of the solar new year by people of the Punjab region and other regions of the sub-continent. The first day of Vaisakh marks the solar new year but is not considered to be a New Year across India but only in some regions. Therefore, Vaisakhi coincides with the New Year's Day (according to the solar new year) celebrated by people across the Tamil Nadu, Assam Valley, Kerala, Odisha, West Bengal, the Kumaon region of Uttrakhand and Mithila region of Bihar (where the Sun-god Surya is honoured). It is also celebrated outside India in Nepal and Sri Lanka & Bangladesh, where it is called pahela baishakh. ↑ Singh, I. J. (1 January 2012). "Sikhs Today: Ideas & Opinions". Ethnicisland. Retrieved 14 September 2016 – via Google Books. ↑ Brown, Alan (1 January 1986). "Festivals in World Religions". Longman. Retrieved 14 September 2016 – via Google Books. ↑ Rajput, A. B. (1 January 1977). "Social Customs and Practices in Pakistan". Pakistan Branch, R.C.D. Cultural Institute. Retrieved 14 September 2016 – via Google Books. 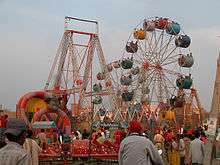 ↑ "Baisakhi celebrated with fervour, gaiety in J&K". 14 April 2015. Retrieved 14 September 2016. ↑ Punia, Bijender K. (1 January 1994). "Tourism Management: Problems and Prospects". APH Publishing. Retrieved 14 September 2016 – via Google Books. 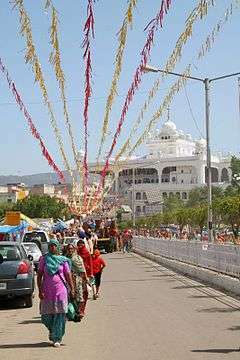 ↑ "Baisakhi Festival". Retrieved 14 September 2016. ↑ Jawandha, Major Nahar Singh (1 January 2010). "Glimpses of Sikhism". Sanbun Publishers. Retrieved 14 September 2016 – via Google Books. ↑ Muhammad Najeeb Hasan Abdal (12 April 2008). "Sikh throng Pakistan shrine for Vaisakhi". Thaindian News. www.thaindian.com. Retrieved 22 January 2012. ↑ "Baisakhi - Guru Ram Das Ashram". Retrieved 14 September 2016. ↑ Council, Birmingham City. "Things to do - Birmingham City Council". Retrieved 14 September 2016. 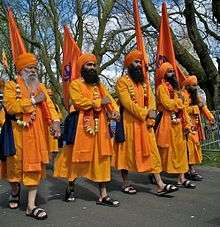 ↑ "Thousands join Sikh Vaisakhi celebrations in Birmingham". BBC News. 22 April 2012. Retrieved 10 May 2012. ↑ "Sikh civil servants get Vaisakhi holiday". The Star Online. 8 May 2012. Retrieved 15 February 2013. ↑ "Sri Granth: Sri Guru Granth Sahib". Retrieved 14 September 2016. ↑ Rao, S. Balachandra (1 January 2000). "Indian Astronomy: An Introduction". Universities Press. Retrieved 14 September 2016 – via Google Books. ↑ Lochtefeld, James G. (1 January 2002). 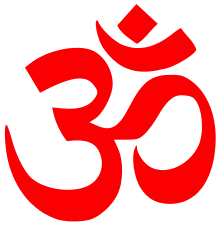 "The Illustrated Encyclopedia of Hinduism: A-M". The Rosen Publishing Group. Retrieved 14 September 2016 – via Google Books. 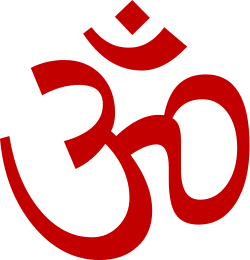 1 2 "BBC - Religion: Hinduism - Vaisakhi". BBC. Retrieved 22 January 2012.